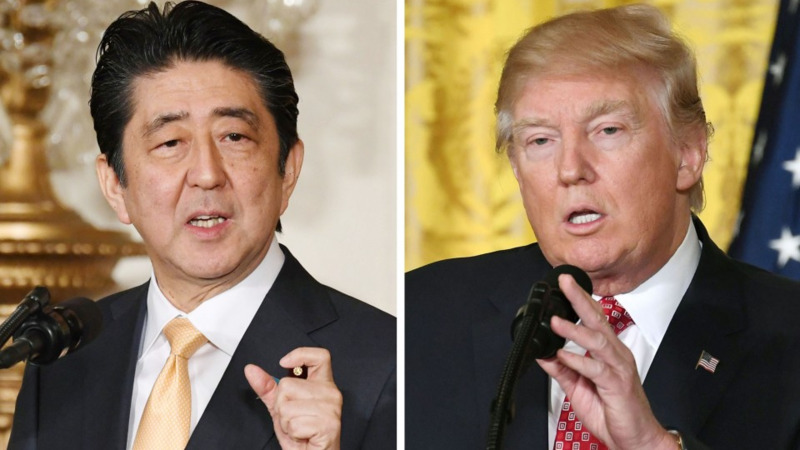 Prime Minister Shinzo Abe said Friday he will visit the United States next month for talks with President Donald Trump to coordinate their policies on North Korea, ahead of a first-ever summit between Washington and Pyongyang. Speaking after a telephone conversation with Trump, Abe hailed the "change" in North Korea's stance as it has offered to "begin dialogue on the basis that it will denuclearize." "I agreed with President Trump that (this development) is the result of Japan, the United States and South Korea, together with the international community, having continued to put a high level of pressure on North Korea," Abe said. During his U.S. trip possibly in early April, Abe is expected to exchange views with Trump over how to deal with the North led by Kim Jong Un ahead of the landmark U.S.-North Korea summit talks. Moon has already agreed to meet with Kim in late April. A South Korean government source said Friday the Trump-Kim talks will be held after that. The White House said Trump and Abe "affirmed their strong intention to continue close trilateral coordination with South Korea to maintain pressure and enforce international sanctions until such point that North Korea takes tangible steps toward complete, verifiable, and irreversible denuclearization." Abe stressed the "solid position" taken by Tokyo and Washington is "absolutely unwavering." Trump accepted the North Korean leader's invitation for the summit talks, according to Chung Eui Yong, head of South Korea's National Security Office. Chung is visiting Washington to brief the Trump administration about his meeting earlier this week with Kim in Pyongyang. Suh Hoon, director of the National Intelligence Service, who also met Kim as a member of a South Korean delegation led by Chung, will make a two-day visit to Japan from Monday for talks with Japanese Foreign Minister Taro Kono, according to the Japanese Foreign Ministry. He accompanied Chung to the United States. 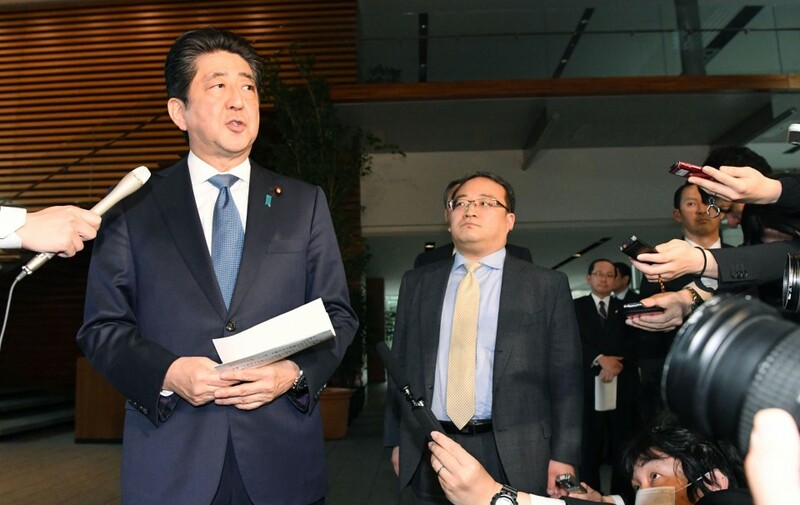 Abe said he also discussed with Trump North Korea's abduction of Japanese nationals in the 1970s and 1980s, and asked for his cooperation in resolving the issue. Abe quoted Trump as saying he understood everything the Japanese leader had told him. 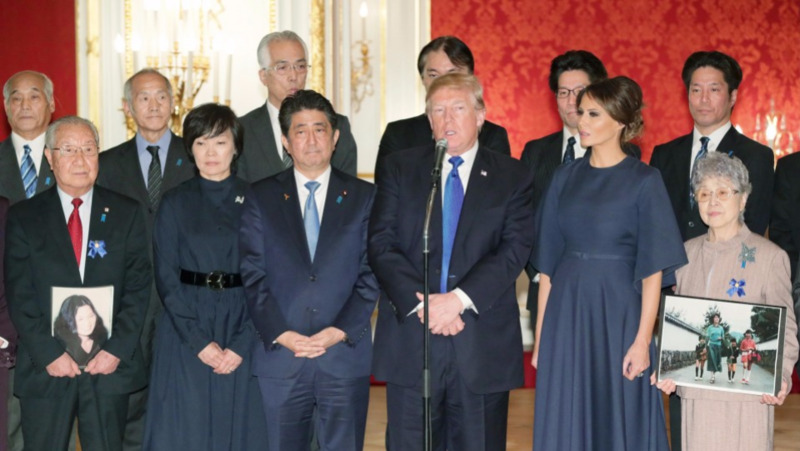 "I will continue to coordinate with President Trump toward resolving North Korea's nuclear and missile (development) and the abduction issue, and we will address these issues in even closer cooperation," Abe said. Kono held a press conference at which he dismissed suggestions that the Trump-Kim talks conflict with Japan's previous warnings about dialogue with North Korea. Asked if he was concerned the United States would only act in its own interests in dialogue with the North, Kono said the talks "will not be a bilateral framework, but with the United States talking with North Korea as a representative of the international community." Chief Cabinet Secretary Yoshihide Suga, the government's top spokesman, said North Korea's offer of talks with Trump shows it is moving toward denuclearization. But Defense Minister Itsunori Onodera said North Korea needs to abandon its nuclear program for the proposed talks to have any meaning. "There is no change in our position that North Korea needs to display concrete actions toward denuclearization in order for dialogue to be meaningful," Onodera said at a press conference. The defense minister also touched on the possibility of reviewing Japan's defense equipment in accordance with a change in the regional security situation, in case denuclearization on the Korean Peninsula progresses following the envisioned Trump-Kim talks. A senior Japanese Foreign Ministry official expressed reservations, saying the developments are "a bit quick."